After finishing my PhD at the Max Planck Institute for the Science of Light in Erlangen I joined the group of Prof. Gregory Tietjen in the Department of Surgery at Yale. 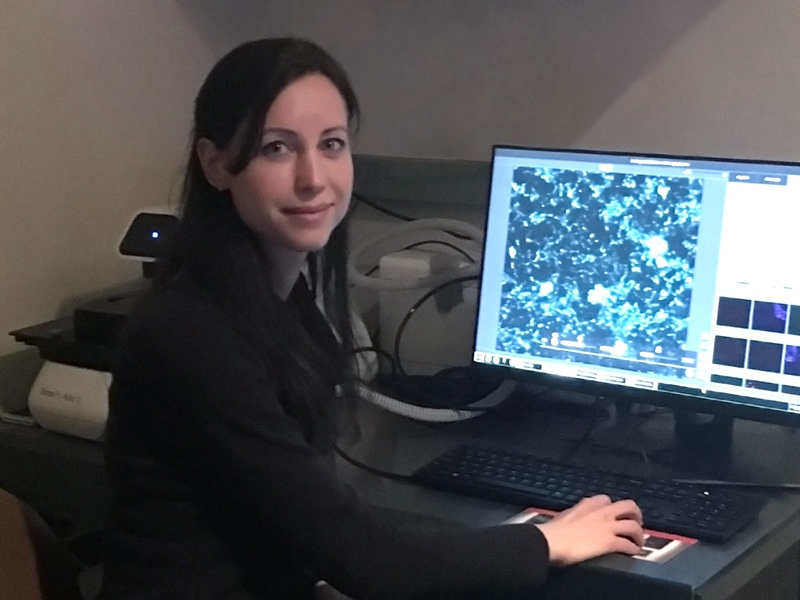 As a physicist by training with experience in microscopy I was very excited about the possibility given by TRENAL to broaden my skills in the medical field, especially in such an inspiring environment provided by Yale. The research group of Prof. Tietjen focuses on developing machine perfusion of kidneys and to provide tools capable of multimodal characterization of the perfused kidney to analyze the physiological function. To this end, we use nanoparticle delivery during perfusion both as diagnostic tool but also for delivering therapeutic agents enclosed in the polymeric nanoparticles. By tailoring the nanoparticle properties and having the great opportunity to use the existing core imaging facilities on Yale campus, we can study their biodistribution across multiple length scales. It is extremely fascinating for me to work together with surgeons, to learn clinical techniques such as ex-vivo perfusion of organs, how to prepare drug delivery vehicles and to quantitatively measure their distribution. Participating in the TRENAL program was therefore a great experience and enrichment for me. I am very grateful for having this opportunity and that I could learn so much in these few months from my supervisor Prof. Tietjen but also from all the other great scientists I have met at Yale.